The ISDE is an international, multispecialty society devoted to the study of the esophagus in disease and in health that was founded in 1979. The aims of the ISDE are to promote the exchange of scientific and medical knowledge among specialists in the field, to maintain interchange with organizations and industries, and to encourage basic and clinical research in fields related to the esophagus. 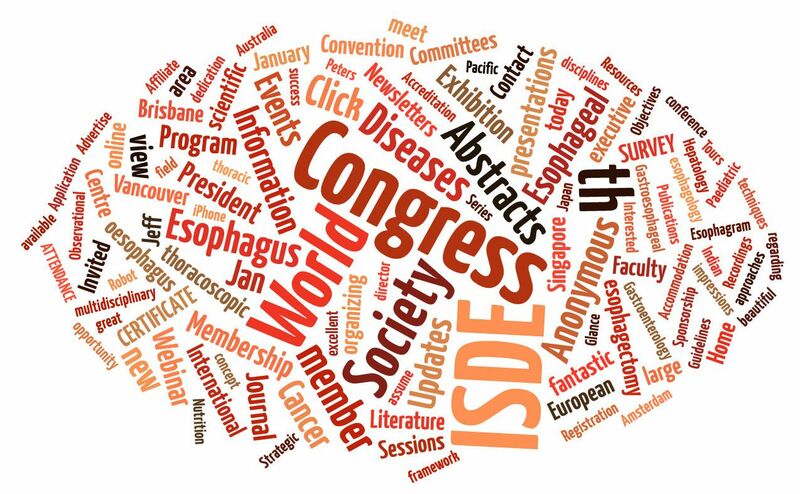 In order to promote the professional and educational development of individuals interested in the esophagus, the ISDE sponsors its own journal, international congresses, and other educational programs. The ISDE Secretariat was in Tokyo, Japan, from 1979 to 2004, and then resided in Los Angeles, California, from 2004 through 2010. Since 2010 the Secretariat has been in Vancouver, British Columbia, under the auspices of International Conferences Service, Ltd. The ISDE welcomes participation by existing members and encourages individuals who are professionally interested in the esophagus to become members. Benefits include reduced registration fees at our congresses and other educational offerings, restricted access to website content and member search capability, access to webcasts, reduced subscription rates for our journal, and the opportunity to help lead this organization into a position of leadership in the worldwide medical community.